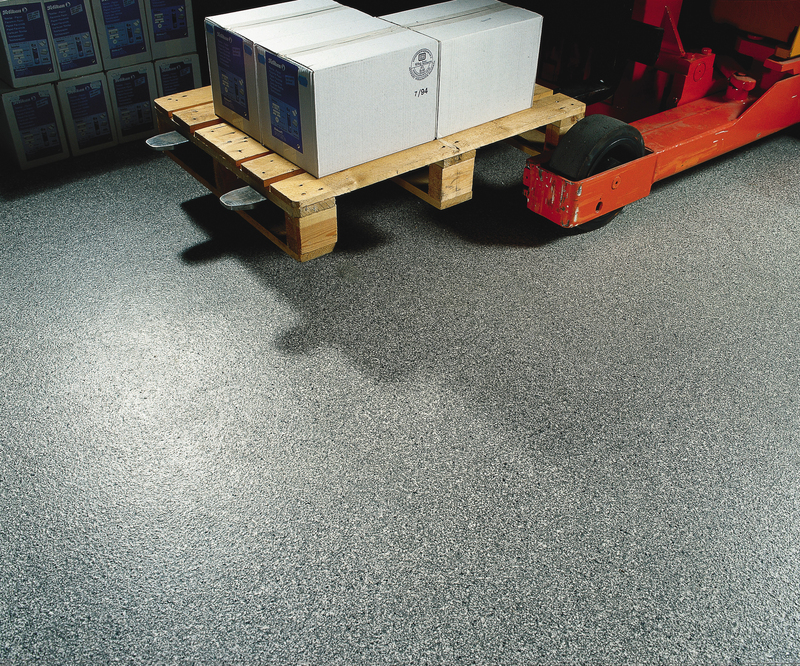 Silikal has been utilized as stress resistant flooring in such locations as manufacturing plants, warehouses and even in prisons. 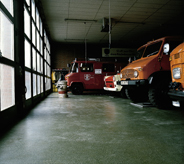 Floors that are stress resistant are a necessity inside repair shops where the stress of cars and dropped tools can easily damage flooring. Flooring that is stress resistant may be quite practical where heavy machinery is moved about such as forklifts for example. Flooring can come under different kinds of stress, granted, thus the reasons for wanting stress resistant flooring may vary widely. For instance let’s take a parking garage. Not only will it be subject to stress when it is being driven upon, but also a tremendous amount of stress from the weight of all those cars parked on the flooring. 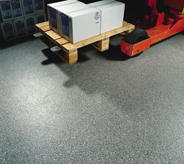 Various warehouses may also seek stress resistant flooring due to their excessive use of forklifts. First one must realize that many forklifts weigh in at about 12K pounds when they are fully loaded with many weighing substantially more. The very act of a forklift picking up a pallet off the floor is extremely stressful to the flooring underneath, as no amount of care can completely stop the pallet from scratching the floor even a tiny bit. Putting down that pallet full of heavy goods can also result in stress to the flooring. 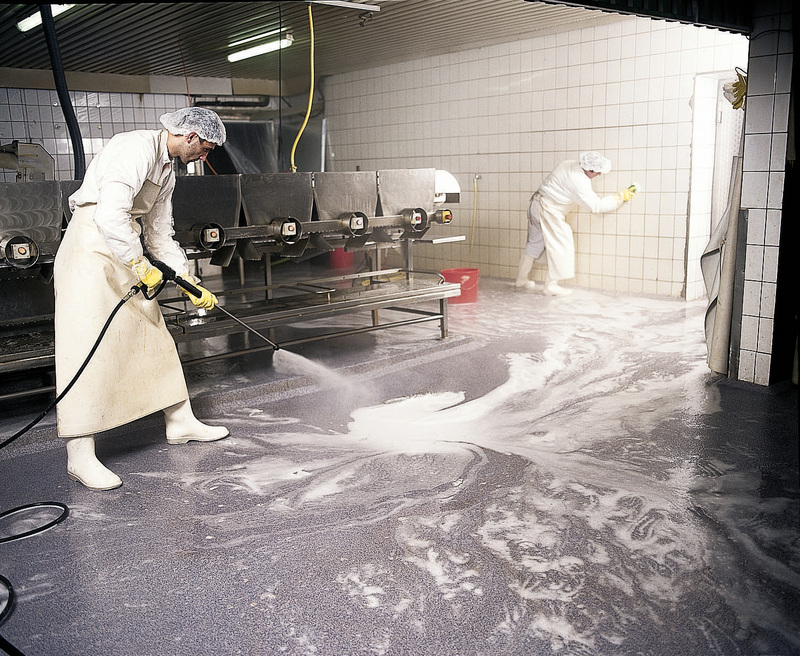 In flooring this is referred to as surface wear/abrasion and for good reason. In addition when dealing with forklifts many other problems may arise. For instance specific care needs to be given to the braking and acceleration forces that forklifts may dole out. Also, there are also other factors such as torque and load redistribution, as well as the possibility of totally unbalanced loads which will deliver additional stress to the flooring. In addition, one cannot discount the possibility that newer forklifts have a much tighter turning radius which then delivers even more additional stress to the flooring beneath it. Scientists will speak of moving live loads and stationary loads and speak about vehicular loads, floor slabs and weight distribution, but all it really boils down to is stress resistant flooring given that the developer of the warehouse or parking garage has already surveyed the situation when construction began. Now what concerns us is the stress resistant flooring that will be utilized on top of the existing concrete. Again scientists will come forth with such comments as modulus of elasticity, but the proof is in the pudding as the saying goes, and thus you should be interested in which type of stress resistant flooring will last the longest? There is but one extremely clear answer, and that is Silikal. 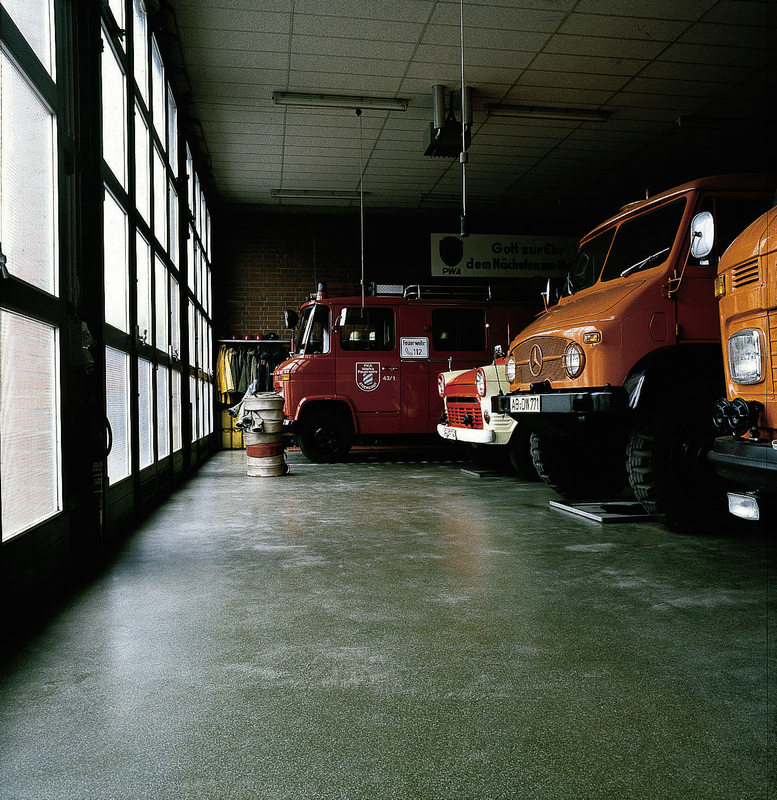 Silikal presents a non-slip, non-skid completely fat surface as stress resistant flooring. Also, Silikal flooring delivers that flooring incredibly quickly, for as soon as the floor is laid, only one tiny hour needs to be pass before putting that floor back in service no matter what kind of stress is going to go on that floor, be it parked cars, or forklifts, you will have a fully stress resistant flooring. In addition that flooring will also be resistant to salts, oils, grease, lye, and even acids. It is also monolithic, and thus is quite easy to take care of and further it is never going to crack, allow bubbles to form and burst, and will remain dust free. Without anything ever allowed to go under the flooring, it will remain as pristine and beautiful as the day it was installed for a lifetime.